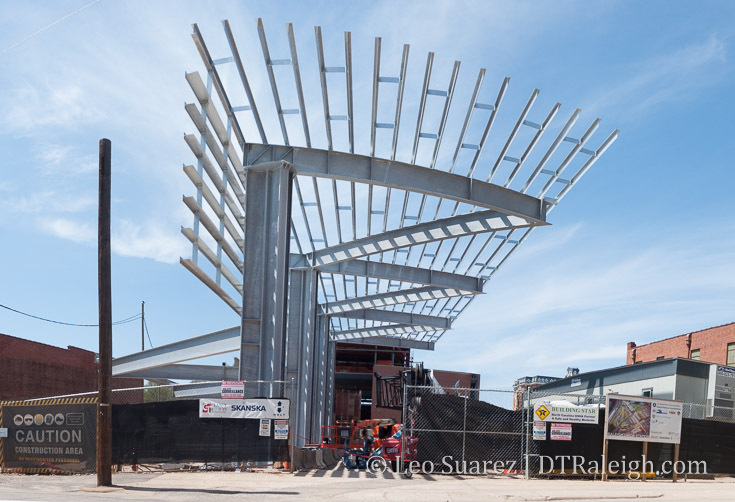 Today’s update shows the entrance to the station at the end of Martin Street at West. The metal awning (better name?) is up, shown above, and to the right will be the pedestrian plaza. 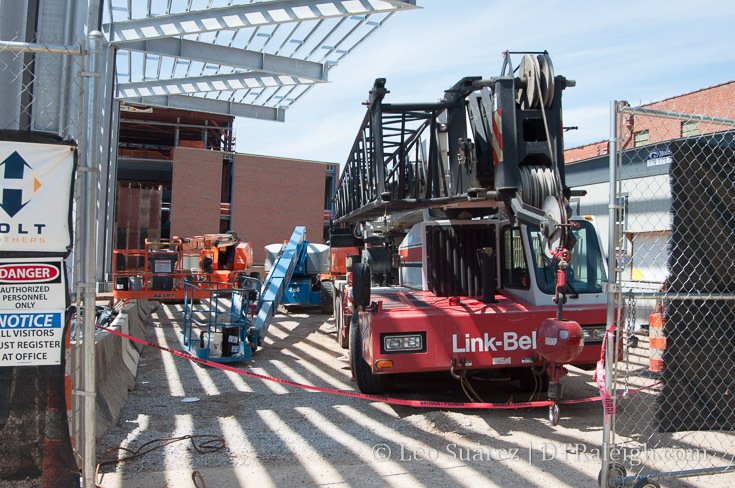 Currently a parking lot for heavy equipment, you can sneak a glance at the space and how it will become the gateway in and out of the city through the station. Here, pedestrians will go underneath some train tracks and then back up into the station. To the left is the street entrance for vehicles to go through, leading up to a roundabout for easy drop off/pick up. You can see the new train “bridge” that was built in order to have all the entrances separated from the tracks of the Boylan Wye. 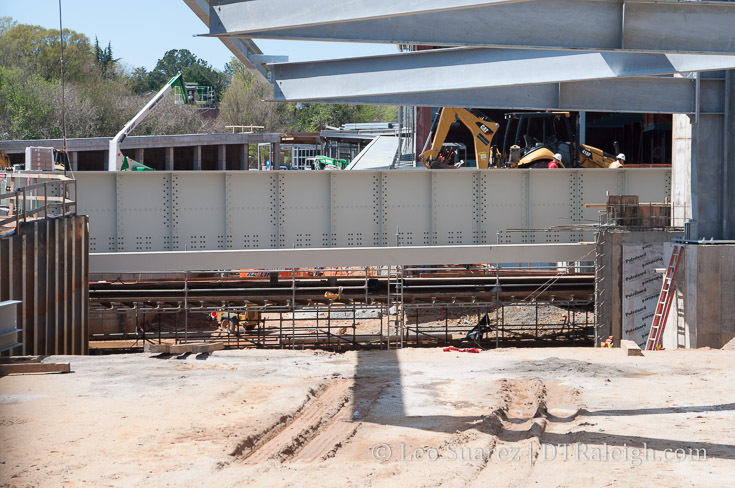 Similar to the pedestrian entrance, vehicles will go underneath the tracks, the “bridge” that was added here. Finally, the end of West Street is a massive hole, going below grade in order to turn under the same tracks of the Boylan Wye in order to loop back into the roundabout. Those last few warehouses look so isolated in the photo below. I wonder if they will last much longer? 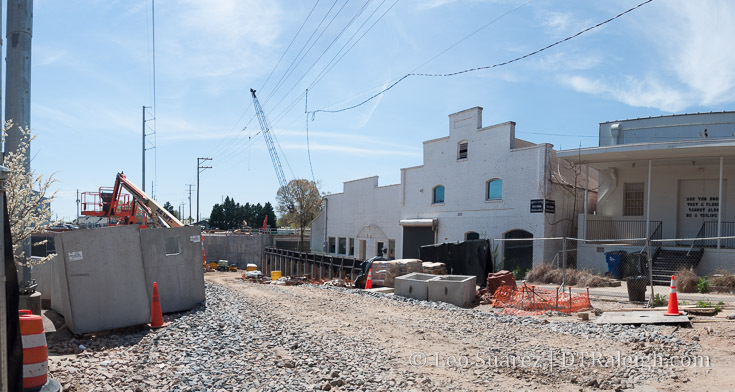 Here are a few renderings and maps to show what is being worked on today along West Street. 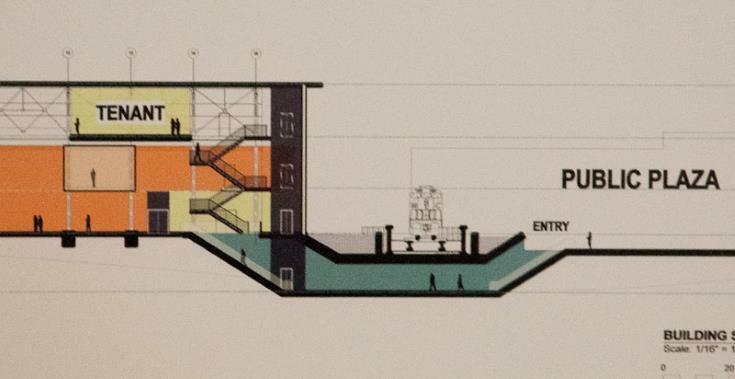 I wonder where the escalators deleted from the design (to save $$) would have gone. Won’t be long before we see for ourselves. Great pictures Leo, thank you! Saw your photo on Instagram and said to myself “he’s going to put that up on the website”. I’m glad you did. It’s such an exciting project to follow! 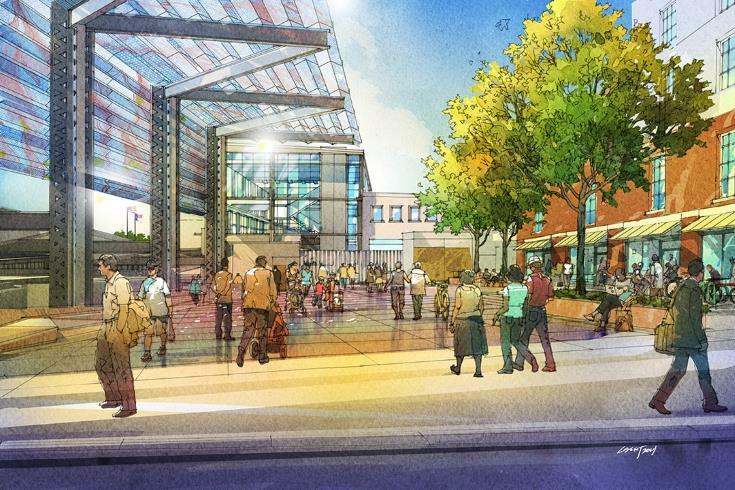 Along with the Dillon project and the food hall, this downtown district is going to change dramatically in the next year. Hi Leo, FYI the warehouses at 310 S West Street will remain! Clearscapes is working on a historic renovation and the landlord is looking for office and/or restaurant tenants. They are pretty amazing inside! That’s great news! Also, good luck on the Guest House (I assume that’s you?) and thanks for saving those houses! What I’m curious about is, what’s going to happen on either side of the Dillon. I know GoTriangle owns some of those buildings, but there’s a parking lot due east of Dillon. Thanks Steve! Yup, Guest House is me and my husband!